Non-practicing entities (NPEs) are once again thrust into the Section 337 spotlight by way of the “domestic industry” requirement. Back in 2007, InterDigital LLC filed a complaint at the United States International Trade Commission (“the Commission”), with the intention of blocking Nokia’s import of mobile devices into the United States. InterDigital alleged that Nokia’s mobile devices infringed its U.S. patents relating to power control and high-speed data transmission in 3G wireless technologies. The Commission sided with Nokia and found no infringement. However, Nokia’s favorable decision turned sour when it was reversed by the Court of Appeals for the Federal Circuit (“the Federal Circuit”). Nokia responded by petitioning the Federal Circuit for an en banc rehearing of the case. In its petition, Nokia focused specifically on the question of whether InterDigital’s patent licensing activities satisfied the “domestic industry” requirement. Recently the Federal Circuit, sitting en banc, denied Nokia’s petition for rehearing. The Federal Circuit decision is nevertheless interesting for its treatment of Section 337’s “domestic industry” requirement as it is applied to NPEs. Under 19 U.S.C. §1337(a)(2), relief at the Commission is predicated on the existence or establishment of an industry in the United States “relating to the articles protected by the patent.” This is commonly known as the “domestic industry” requirement. In turn, section 1337(a)(3) provides that an industry is considered to exist if there is in the United States, “with respect to the articles protected by the patent,” significant investment in plant or equipment, significant employment of labor or capital, or “substantial investment in [the patent’s] exploitation, including engineering, research and development, or licensing” (emphasis added). Nokia’s argument on appeal focused on the proper statutory construction of “relating to the articles protected by the patent” and “with respect to the articles protected by the patent.” More specifically, Nokia argued that the licensing activities referred to in Section 337 must be tethered to a physical, tangible product. Put differently, Nokia urged the Federal Circuit and the Commission to refrain from finding a domestic industry based on licensing activities, unless the licensing in question is tied to the manufacturing of some physical product; otherwise, the licensing activities would run afoul of the statutory requirement that the activities be with respect to the articles protected by the patent. InterDigital’s business is in the research, development, engineering, and licensing in the United States of patents relating to wireless technology. InterDigital engages only minimally in the manufacturing of products, and derives the bulk of its revenues from licensing its patent portfolio to mobile device manufacturers. Nokia argued that since InterDigital does not itself manufacture the products that utilize the patents-in-suit, InterDigital could not satisfy the “domestic industry” requirement under Section 337, and was therefore not entitled to relief. The Federal Circuit disagreed with Nokia. Looking to the legislative history of Section 337 for support, the panel majority pointed out that the statutory provision pertaining to licensing was added in 1988 in order to protect U.S. industries that were exploiting patents through non-production-related activities, such as research and development or licensing. The panel majority highlighted Congressional committee reports explicitly stating the statutory provision in question “does not require actual production of the article in the United States if it can be demonstrated that significant investment and activities of the type enumerated are taking place in the United States.” The panel majority concluded that the clear intent of Congress and the plain reading of the statutory provision in question disfavored Nokia’s proposed statutory interpretation. It is not necessary that the party manufacture the product that is protected by the patent, and it is not necessary that any other domestic party manufacture the protected article. As long as the patent covers the article that is the subject of the exclusion proceeding, and as long as the party seeking relief can show that it has a sufficiently substantial investment in the exploitation of the intellectual property to satisfy the domestic industry requirement of the statute, that party is entitled to seek relief under section 337. Judge Newman penned the dissenting opinion. She argued that licensing activities amount to a domestic industry under Section 337 only if the licenses are for domestic manufacture. Licenses for foreign manufactures are inadequate to satisfy the “domestic industry” requirement. As support, Judge Newman offered a different interpretation of the legislative history of Section 337 based on a “sampling” of various testimonies and statements presented during the 1988 Congressional hearings on the proposed amendments to Section 337. This testimony came from representatives of industry, government, academia, and legislators. Unlike committee reports, however, hearings do not necessarily reflect the views of Congress. Rather, hearings focus on the views of interested parties testifying before Congress. As such, a basic rule of thumb in the exercise of distilling a legislative intent from legislative history is that hearings should not be accorded as much evidentiary weight as committee reports. Thus, from the start, Judge Newman’s interpretation of the legislative intent behind the 1988 amendments lacked solid evidentiary footing. Judge Newman explained that the 1988 amendments were intended to avail Section 337 remedies to patentees that do not themselves manufacture patented productions, such as universities, but engage in extensive licensing of their patent rights to manufacturers. The amendments did not, however, eliminate the domestic manufacture requirement. Judge Newman conceded that the committee reports did explicitly state that the amended Section 337 “does not require actual production of the article in the United States if it can be demonstrated that substantial investment and activities of the type enumerated are taking place in the United States.” Judge Newman, however, faulted the panel majority for ignoring the sentence following the extracted statement, which read, “[t]he definition [of domestic industry] could encompass universities and other intellectual property owners who engage in extensive licensing of their rights to manufacturers” (emphasis added). Judge Newman latched onto the reference to “manufacturers,” and argued that the 1988 amendments were meant to liberalize the definition of “domestic industry” to include patentees that license U.S. patents to manufacturers. Judge Newman went on to state that “[m]anufacture under a licensed United States patent is manufacture in the United States.” This, according to Judge Newman, is the statutory basis for requiring domestic manufacture. Judge Newman’s conclusion seems to be based on a flawed understanding of the evolution of Section 337’s “domestic industry” requirement. Prior to the 1988 amendments, domestic manufacturing activities according to the patented invention were understood to be the cornerstones of a protectable “domestic industry” under Section 337. A domestic industry existed only if the asserted patent was exploited by production in the United States, and the industry in the United States generally consists of domestic operations of the patent owner, his assignees, and licenses devoted to such exploitation of the patent. Accordingly, courts and the Commission consistently required some quantum of domestic manufacturing by the complainants or their licensees before providing protection under Section 337. For example, in Certain Products with Gremlins Character Depictions, Warner Brothers attempted to establish the existence of a domestic industry by highlighting various licensing activities that involved copyrights based on characters from the movie, Gremlins. While the Commission ultimately found that Warner Brothers had a protectable domestic industry, the Commission based its conclusion on the production by Warner Brothers’ licensees of merchandise bearing the copyrighted images, rather than Warner Brothers’ licensing of the copyrights. As such, universities and other patentees that licensed their patents to manufacturers, without engaging in manufacturing activities themselves, have always been entitled to Section 337 protection regardless of the 1988 amendments. Judge Newman’s finding that the legislative intent behind the 1988 amendments was to protect universities and other intellectual property owners who engage in licensing of their rights to domestic manufacturers would in fact render the amendments superfluous. Judge Newman’s dissent also noted that InterDigital’s license was not a license to manufacture any patented product in the United States, but rather a license to import products made abroad. Judge Newman argued that this type of license falls outside the purview of “licensing,” as the term is used in the context of Section 337. However, there is no evidence suggesting that when “domestic industry” was redefined to include licensing, Congress intended to distinguish between the types of licensing activities that can and cannot qualify as protectable domestic industry. 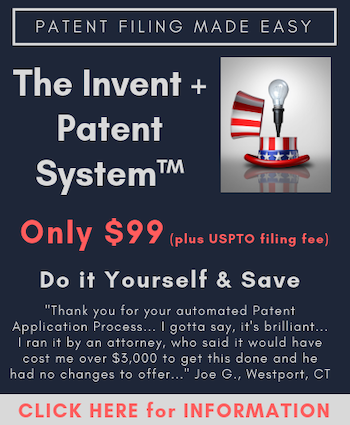 Section 271 of the Patent Statute governs the infringement of patents, and provides that “whoever without authority makes, uses, offers to sell, or sells any patented invention, within the United States or imports into the United States any patented invention during the term of the patent therefor, infringes the patent” (emphasis added). “Licensing,” in its most basic form, is the exchange of a royalty fee payment for the right to engage in any of the enumerated activities in §271 with impunity. It makes little sense for “licensing” to be defined differently for the purpose of Section 337. There is certainly no support in the legislative history that Congress meant for “licensing” under Section 337 to exclude licenses to import. In Certain Coaxial Cable Connectors and Components Thereof and Products Containing Same, the Commission recognized that the plain language of the statute “does not limit the types of licensing activities that the Commission can consider.” This understanding has never been questioned. Currently, the inquiry as to whether a domestic industry based on licensing activities exists asks whether: (1) the investment in licensing relates to the exploitation of the asserted patents; (2) the investment in fact relates to licensing efforts concerning the asserted patents; and (3) the investment is domestic, that is, the licensing activities are performed and directed within the United States. Licensing activities that satisfy all three prongs of the inquiry are then assessed to determine whether they are substantial. For example, in Certain Multimedia Display and Navigation Devices and Systems, Components Thereof, and Products Containing Same, the Commission devised a ten-factor test for determining whether a patentee’s licensing activities satisfy the first prong of the inquiry. Whether the licensees practice the licensed patents in the United States is but one factor to be considered in the inquiry, as is the question of whether licensing activities are revenue-driven or industry-creating and production-driven. However, neither the Commission nor the Federal Circuit has shown any inclination to impose a bright-line requirement that licensing activities must be linked to domestic production in order to satisfy the “domestic industry” requirement. Licensing is permitted in the domestic industry test to allow innovators who don’t make products, like universities to use Section 337 . . . [Patent assertion entities] obtain and license their patents after a product has come to market, and seek to share in the value already created by others . . . While a PAE may have a claim in district court, it should have no place in the ITC. While it is expected that Nokia will file a petition on the “domestic industry” issue to the Supreme Court, the likelihood that the High Court will grant cert is rather slim. Just this past October, the Supreme Court declined to hear a case brought by PPC Inc., a New York-based NPE, seeking to relax the “domestic industry” requirement. So for now, the NPEs can breathe a sigh of relief. H.R. Rep. No. 93-571 at 78 (1973). Certain Products with Gremlins Character Depictions, Inv. No. 337-TA-201, USITC Pub. 1815, at 4-14 (March 1986) (Final Determination). See, e.g., Certain Digital Satellite System (DSS) Receivers and Components Thereof, Inv. No. 337-TA-392, USITC Pub. 3418, at 10 (Oct. 20, 1997) (Initial Determination). Nice job – well written!